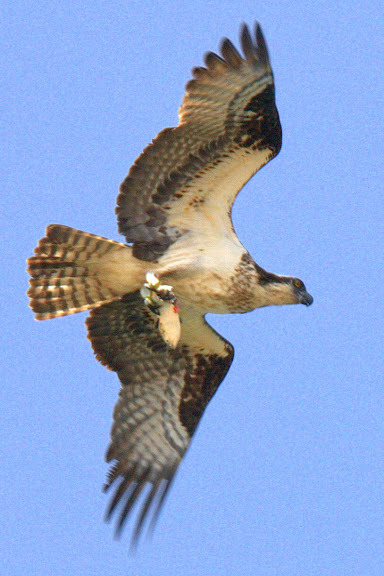 I was watching this Osprey circling and diving for fish just off the beach at Sandbridge, Virginia today. She has just caught a fish and is flying off with it in her talons. The shot is not tack sharp focused as I would have liked but she was moving fast and I was happy enough with it to feature it as today's post. Canon 40D, 1/500 sec at f/13.0, ISO 200, 254mm.